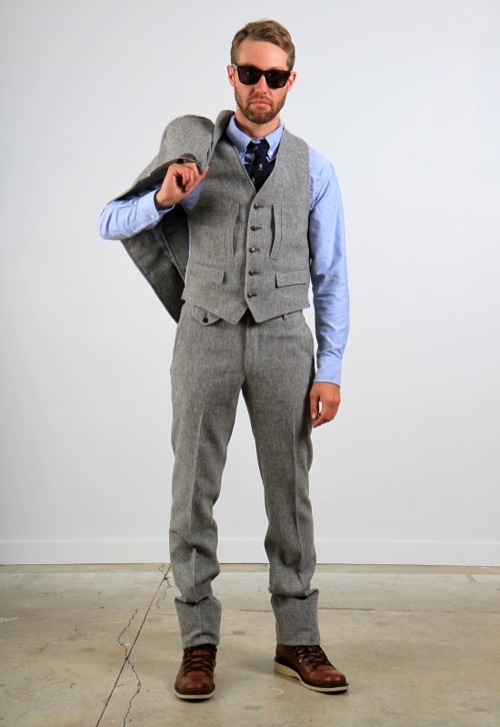 We love this great 3-piece tweed tailored suit from Band of Outsiders. 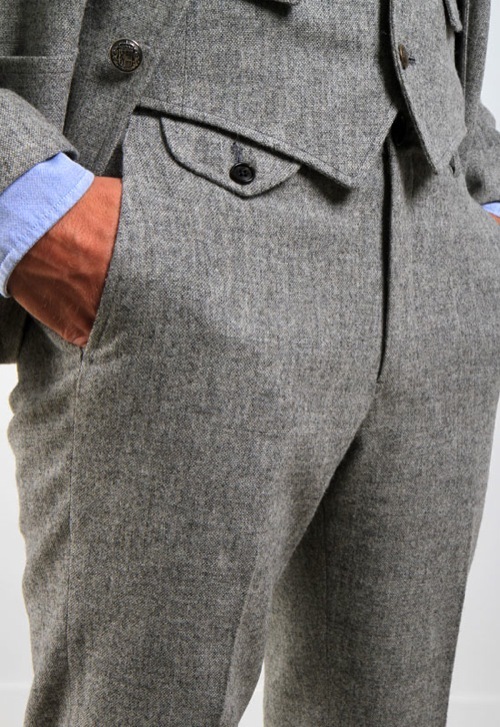 Although each piece can be worn separately, together this suit is a force to be reckoned with. 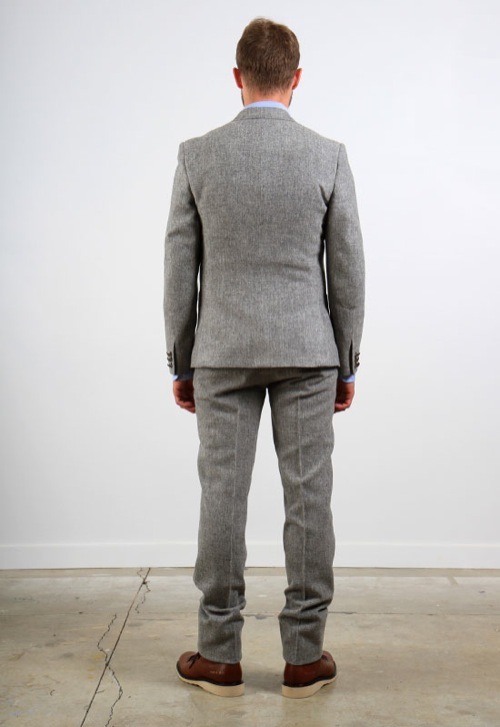 Featuring full canvassed construction with cupro lining, this slim-fit suit features tailoring done by Brooklyn’s Martin Greenfield Clothiers, a company that’s been crafting fine products since the 1970’s so you know you can trust in their quality. 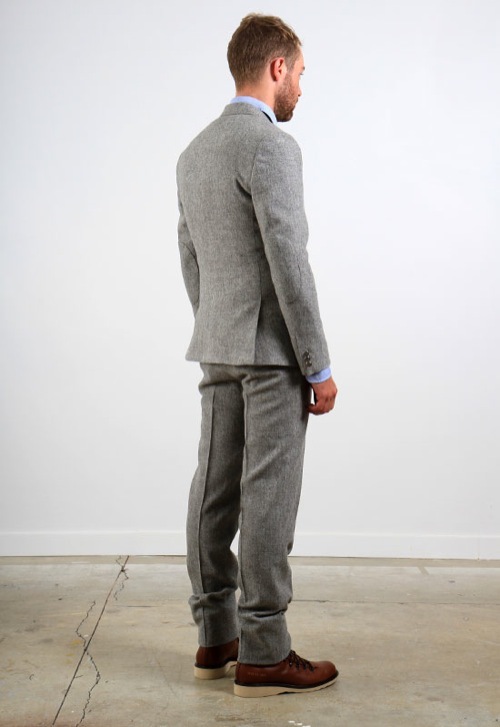 Available online from Roden Gray. 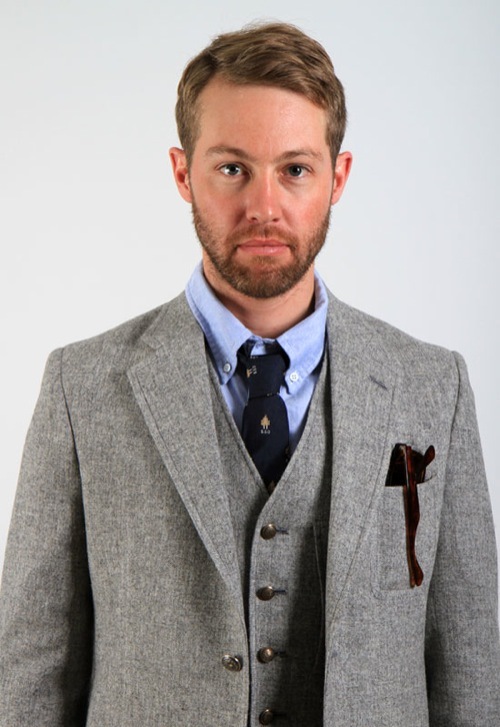 This entry was posted in Suits and tagged Brooklyn Martin Greenfield Clothiers, Roden Gray, Suit. Bookmark the permalink.